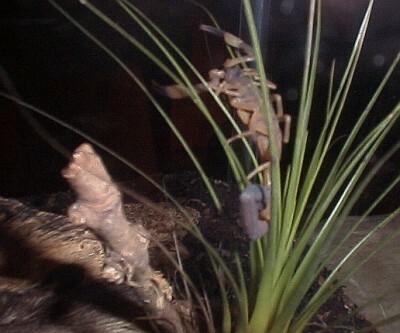 Just before we went to bed I noticed that the scorpion had climbed into one of the tillandsias in the terrarium. I joked that it was trying to catch a bird. 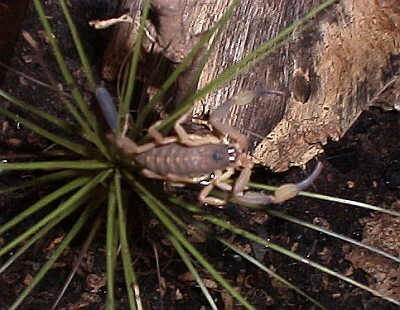 Anyway, I made a few pictures of the scorpion with my old Philips digital camera. 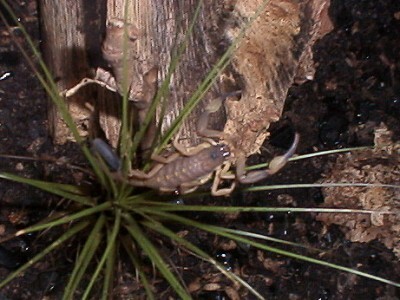 In the first photo of the scorpion you can clearly see that the tail is quite fat. It looks even more fat compared to the tail of the first scorpion, "Tina", I had captured in our apartment and kept as a pet afterwards.